eal and ship. Former Fab’s sealing jaws get your product sealed and in transport fast. Our endseals are CAD-designed, then produced using the latest manufacturing techniques. Our sealing bars are designed for long life, to minimize film waste, maximize product safety and most importantly, your bottom line. Former Fab offers endseals coated with a proprietary process we call Nickel Teflon Coating (NTC), which offers the right amount of protection and slip, to keep your film from sticking. The extremely high heat used during the sealing process can cause competitors’ endseals to stick to the film, stopping the production line and contaminating the jaws and product. Our NTC process is in high demand by our customers and can be applied to all endseal jaw applications. The NTC layer is resistant to corrosion, flaking, chipping, and peeling. It is self-lubricating yet exceptionally durable. Former Fab’s sealing solutions increase product quality and usability. We can design cutting patterns from fine to coarse, sinusoidal, horizontal, vertical, diagonal or cross-hatched patterns. We can machine a tear notch into the endseal itself, so that your packaging equipment can be maximized for multiple customers. Self-contained mechanical or heated hole punch options. Mechanical punches operate with no external power, offering you cost savings on equipment, maintenance and upkeep. 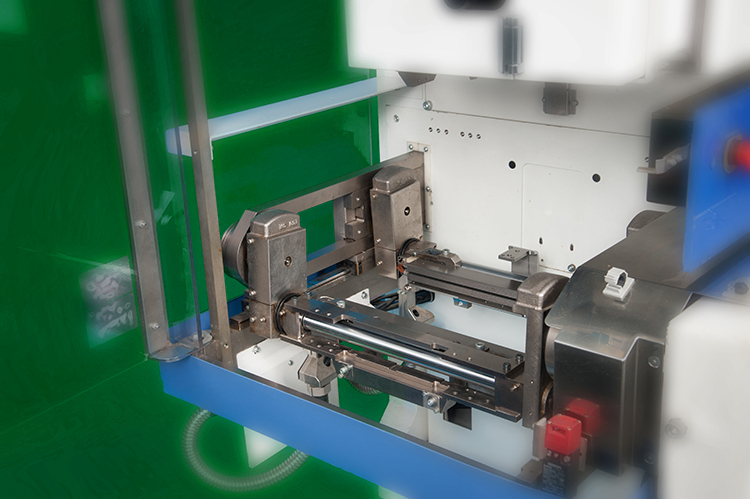 Our heated hole punch systems come complete with adjustable temperature controllers; ideal for stronger packaging films. 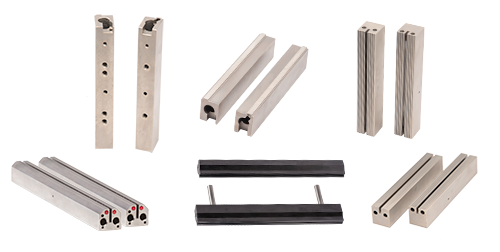 Our endseals can be supplied with all available options, knives, heat pipe, heaters and temperature sensors. Everything you need to get your product bagged, sealed, shipped and in the customer’s hands.